The team behind Telegram is planning to launch a blockchain network and platform which is aimed at solving the shortcomings of existing cryptocurrencies like Bitcoin and Ethereum. 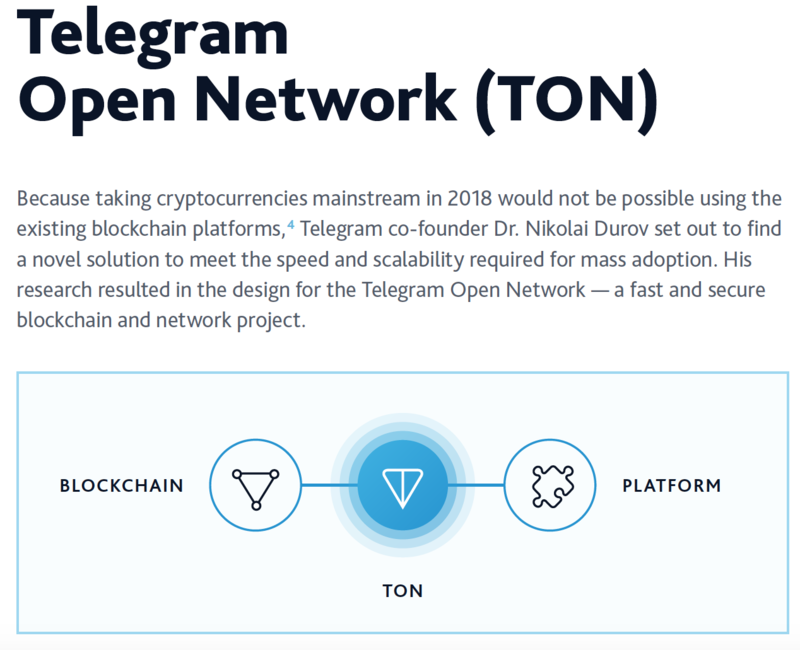 Last week we shared an update on Telegram’s upcoming ICO for the Telegram Open Network (TON) and posted their leaked roadmap and token information. 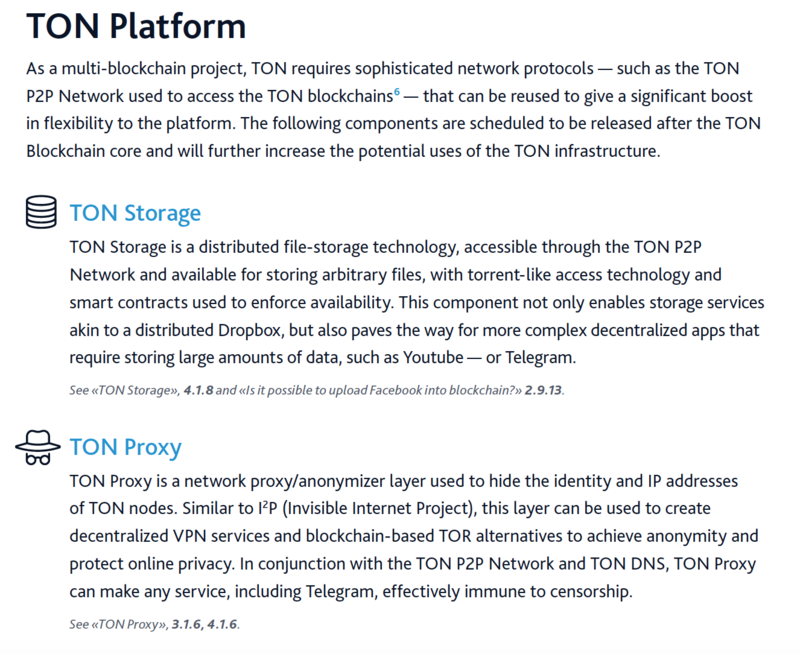 Today we are going to share the TON whitepaper, which reveals the project’s ambitious plans. The TON whitepaper (which can be downloaded via the bar at the bottom of this page) begins by citing both Bitcoin and Ethereum as digital gold and a platform for token sales respectively, while pointing out the lack of a mass-market cryptocurrency which can be used for daily transactions. It goes on to highlight the slow transaction speeds for both currencies (7 transactions per second for Bitcoin and 15 for Ethereum) as a major drawback when competing with existing payment processing solutions like VISA or Mastercard. Additionally, the whitepaper also raises issues such as lack of consumer activity and the need for technical know-how when interacting with existing digital currencies. With TON, Telegram co-founder, Dr. Nikolai Durov aims to counter these shortcomings by delivering “a fast and inherently scalable multi-blockchain architecture” which supports millions of transactions per second, delivers intuitive user interfaces and leverages the existing Telegram user base of 180 million to create an engaging ecosystem. Infinite Sharding Paradigm: This is TON’s scalability solution, allowing for different side chains to split and merge as required for optimal load balancing and reducing transaction times and costs. Instant Hypercube Routing: This is defined as a “smart routing mechanism” which ensures that the multiple chains are able to exchange data seamlessly and swiftly, even when the network grows to millions of chains. Proof-of-Stake Approach: Proof-of-Stake is the alternative consensus protocol to Proof-of-Work, which is utilized by Bitcoin and most other cryptocurrencies. With Proof-of-Stake, transactions are processed by validators designated according to the number of tokens they deposit as their ‘stake’. 2-D Distributed Ledgers: This will allow TON to generate valid blocks on top of invalid ones and acts as a ‘self-healing’ mechanism that prevents unnecessary forks. Apart from the TON Blockchain, the whitepaper also discusses the ecosystem, which will include a distributed file-storage service, a proxy service, decentralized apps and smart contracts, DNS, micropayments a decentralized ad exchange and a digital and physical goods marketplace. Given how Telegram has been a resounding success, pushing encryption and privacy, the progression towards a decentralized network and ecosystem appears natural. If the team behind the TON platform manages to deliver on technology, the existing user base should provide the traction necessary for widespread adoption. With ambitious plans, rising popularity and an experienced team backing it, Telegram’s TON ICO may just be the biggest token sale of 2018.